Sheffield United and Fleetwood enjoyed a good Tuesday evening without even playing as League One promotion rivals dropped points. 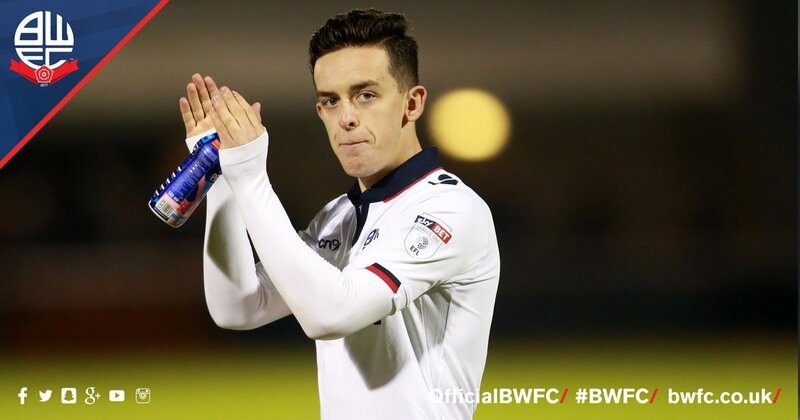 Nottingham Forest have signed striker Zach Clough from League One Bolton, the two clubs have confirmed. Bolton Wanderers have announced the signing of striker Chris Long, who joins on loan from Burnley for the remainder of the season. The former Everton youngster spent the first half of the campaign at League One rivals Fleetwood, where he scored four goals in 23 appearances. Josh Vela fired a late winner as Bolton came from behind to beat Fleetwood 2-1 and maintain their 100 per cent start. Arsenal are closing in on the signing of England Under-21 international defender Rob Holding from Bolton. Former Republic of Ireland international Andy Townsend is working in a consultancy role with Bolton as their managerial search drags on. Press Association Sport understands the 52-year-old television pundit has arrived at the Macron Stadium as an advisor to the new regime, who need to find a permanent successor to Neil Lennon while shaping their squad for a campaign in Sky Bet League One next term. Speaking last week, new chairman Ken Anderson had hoped to identify the boss he wanted by the end of this week having whittled a shortlist of 50-plus candidates down to three. However, the process may have been held up by the fact Anderson and chief executive Dean Holdsworth, the two men whose takeover saved the club from financial meltdown last month, cannot agree on who they want to take up the post. Jordan Rhodes' stoppage-time winner gave Sky Bet Championship leaders Middlesbrough their sixth straight victory as they beat already-relegated Bolton 2-1 at the Macron Stadium. Boro were trailing to the club propping up the division when Josh Vela scored but after Rhodes levelled in the 73rd minute, Boro mustered another late winner for the second time in five days, this time through their £9million striker.